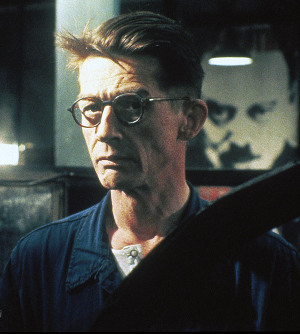 Winston Smith is a fictional character and the protagonist of George Orwell's 1949 novel Nineteen Eighty-Four. In the book, Winston is a clerk for the Ministry of Truth, where his job is to rewrite historical documents so that they match the current party line, which changes on a daily basis. Winston Smith Facts for Kids. Kiddle Encyclopedia.